Email marketing best practices tend to revolve pretty heavily around generating revenue – but not every email marketer sends with the direct goal of selling something. If you’re a publisher, you might want to drive more traffic to your content. If you're an alumni organization, you might want to get more people to Homecoming. If you’re a B2B brand, you might want to encourage subscribers to register for a webinar. And even if your brand DOES offer some sort of goods or services, the best email marketers know that not every message you send should shout “Buy, buy, buy!” To do your most effective marketing, you need to balance out your sales-focused messages with emails centered around goals that don’t involve adding items to a shopping cart. Here are five ways to effectively do email marketing when your goal isn’t to drive revenue. This is a goal that applies to any brand regularly producing blog posts, how-to guides, video content, etc. Whether you send a regular newsletter or only distribute content when you have something new to share, your goal is to get people to visit, engage with, and (hopefully) share your content with their peers. 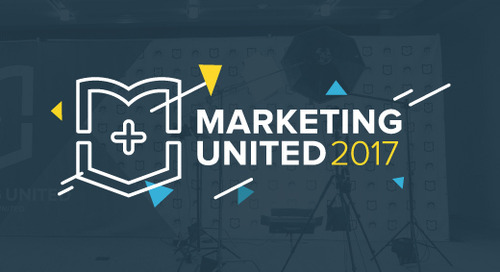 In this email from B2B brand Wistia, for instance, they’re sharing a guide for you to check out. The value proposition is made abundantly clear in the headline, and the design (with ample white space and a bold, singular call-to-action button) makes it easy to hone in on where you're supposed to click to access the guide. Even though this email from our client Visit Philadelphia contains way more content (their newsletter generally features 10-15 posts), it feels just as streamlined as the Wistia example. Part of that can be attributed to the single-column, mobile-friendly design, but it also helps that they feature a single piece of content above the fold. In either case, making your email easy to navigate ensures people will actually get to the content you’re promoting, rather than getting lost in the depths of the email and never clicking through. Sometimes, your brand needs to spread need-to-know information to your subscribers. Online bank Simple does a fabulous job of effectively using email marketing in these situations. For example, check out this mailing. This email explains to recipients that it's time for Simple users to either close their accounts or move to their new partner bank, BBVA Compass. It's clear, friendly, and outlines easy-to-follow next steps. When your email contains something genuinely important for your audience to know, clarity and brevity are your best friends. From your subject line to your call to action, keep your messaging laser-focused so there's no chance the key takeaway gets muddled or lost in the noise. This is where “just because” messages come in. Whether it’s a simple thank you email, a piece of exclusive content shared only with your biggest brand fans, or a fun company culture video, surprise and delight your subscribers with the occasional email sent for no other purpose than to put a smile on their face. Whether you’re hosting a networking event or encouraging students to tour your campus, email is a great way to enable "in real life" experiences. 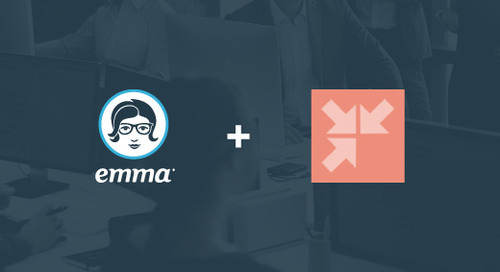 If you're using Emma, consider taking advantage of our Eventbrite integration. You can use it to display your Eventbrite events directly in your emails and track the resulting registrations in our Response section. If you're using another ESP, investigate your options for integrating with an event platform – and do so if possible! It's the best way to make sure your email marketing is driving attendance, not just opens. What other ways do you use email marketing that don’t involve selling? Sound off in the comments!